SEOUL, May 4 (Yonhap) — “Saimdang, Memoir of Colors,” an anticipated high-budget TV series that has yielded weaker-than-expected results, has managed to earn a net profit thanks to strong performance overseas, according to the its production company Thursday. According to production agency GROUP 8, the SBS TV drama earned 17 billion won (US$15 million) via distribution in seven countries, including in China, Japan and Taiwan. The figure represents 75 percent of the show’s entire budget of 22.5 billion won. The company declined to disclose detailed earnings figures but said that the show earned a “meaningful” net profit. “Exports seem to have played a big role (in the show’s bottom line),” a GROUP 8 representative said. 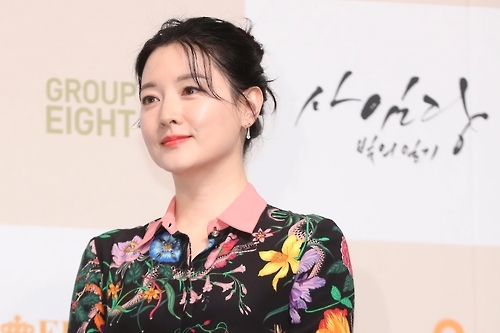 The series, which premiered in late January, made headlines for bringing “hallyu” actress Lee Young-ae back to television for the first time in 14 years. The show centers on Saimdang (1504-1551), whose legacy is associated with raising the Korean Confucian scholar Yulgok of the Joseon Dynasty (1392-1910). The show, which wrapped up production in the first half of 2016, was initially set to air last fall with simultaneous broadcast on China’s Hunan TV. But the show was pushed back to January amid China’s tacit ban on Korean TV shows, an apparent protest towards Seoul’s decision to install a U.S. Terminal High Altitude Area Defense, or THAAD battery, on the Korean Peninsula. The show was ultimately blocked in China. But according to an official at GROUP 8, Hunan TV had already paid the Korean production company for the rights for Chinese distribution. Despite much fanfare before its premiere, “Saimdang” yielded weaker-than-expected ratings throughout its run in South Korea, overshadowed by KBS 2TV’s “Good Manager” and “Queen of Mystery.” But according to GROUP 8, the show proved to be a hit overseas, thanks to the star power of Lee and co-star Song Seung-heon. “The show is the most viewed program on Taiwan’s GTV since its premiere. It’s also maintaining the lead and No. 2 positions on various platforms in Hong Kong, Japan, Singapore and Malaysia,” a company official said.